Meeting all your portable toilet needs! 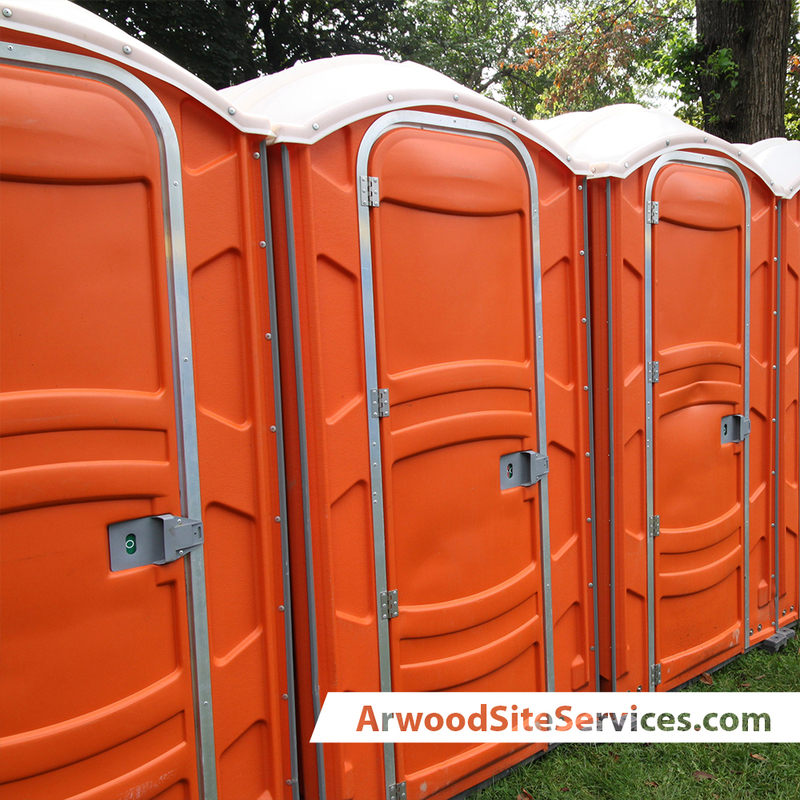 Arwood Site Services can provide you with portable toilets for your construction site or event. We offer single units or multiples, based on your need. We can also add a hand sanitizer or hand wash station. Arwood Site Services can also service your portable toilets by washing the unit, keeping supplies stocked and removing the waste from the tank. Whether your need is a single temporary unit or high end multiple units, Arwood Site Services is more than ready to help! Construction sites, weddings, school events, corporate events - you name it we do it! Arwood Site Services is renowned for providing the best service and highest quality portable toilets as well as the largest variety of choices. Let us assist you with determining the type and how many restrooms you need while staying within your budget.